Blocked sewers or overflowing waste normally occur when there is a blockage within the drain, or the drain has collapsed on itself. The primary cause of blocked drains in older properties is tree roots entering the pipes and seeking out moisture. In newer homes, common sources of blockages include women’s sanitary pads, paper towels and even certain types of thicker toilet paper. 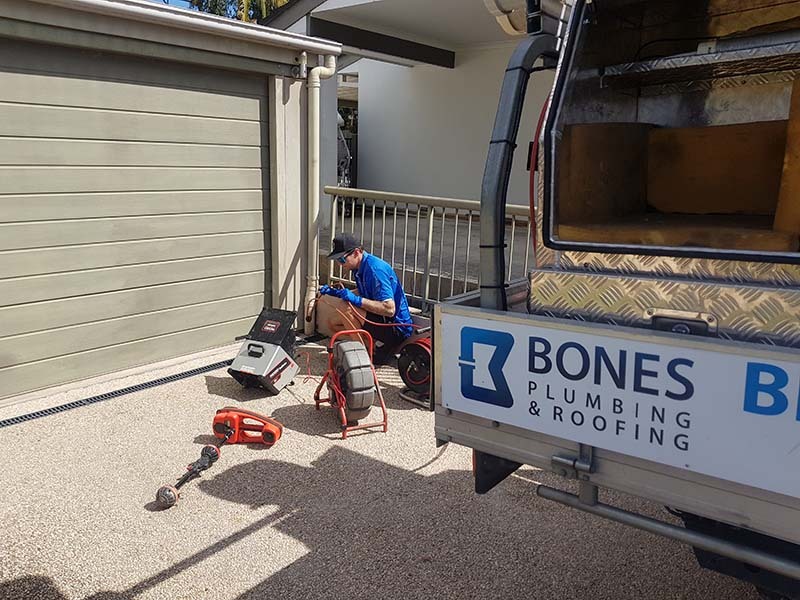 We have had extensive experience of blocked drains throughout the Sunshine Coast over the years so don’t hesitate to give us a call if your drain is playing up. 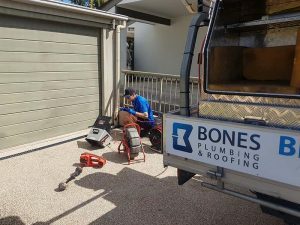 Bones Plumbing has the know-how to locate the specific problem in your blocked drain, clear it and make your drain usable again. Our plumbers seek to identify the cause of the blocked drain as well as provide advice on how to avoid future blocked drains. 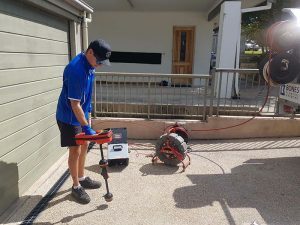 We combine our years’ of experience with the latest technology to deliver an unrivalled drain unblocking service, here on the Sunshine Coast. 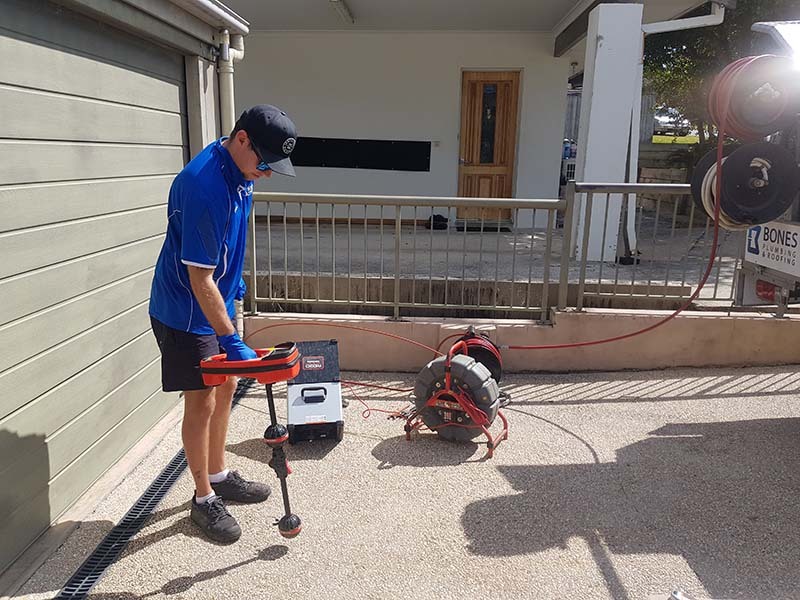 Using CCTV and Pipe Locator we are able to actually see where the problem lies, and then using our Drain Jetter, to clear drain or if required, undertake excavation and repair. Look after your pipes by keeping a rubbish bin by the toilet for bulky items. Never flush them down the toilet. 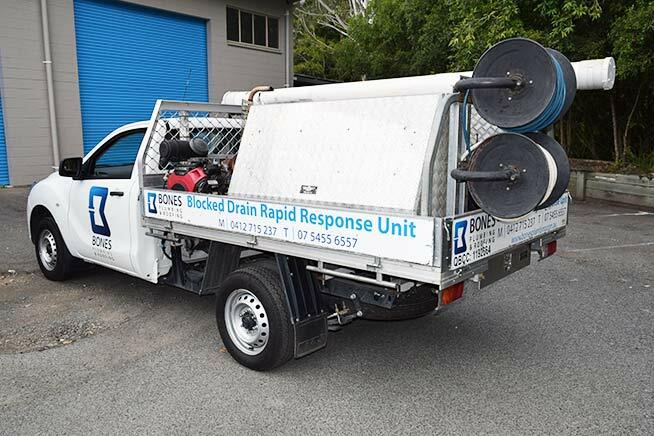 Not only is it better for the environment and our waterways, it will save you time and hassle unblocking a drain later.